Garage48 in collaboration with Tele2 is proud to announce Baltic Open & Big Data 2017 - a hackathon that puts data in the centre of the stage! 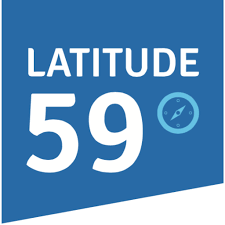 Garage48 Baltic Open & Big Data 2017 takes place on 19-21 of May in Tallinn at LIFT99 - a one of a kind, urban co-working space nestled in the middle of a lively Telliskivi Loomelinnak. This hackathon is targeted towards anybody, who feels passionate about data and wants to put their thoughts into action. Data aficionados, visionaires, developers, designers— you are all invited to join! Over the past few decades we have gathered a vast amount of data, which presents a perfect opportunity for generating new knowledge. Big data is already known for having a major impact in transforming healthcare, predicting crime, studying customer’s buying behaviour and helping manufacturers to avoid miniature but costly mistakes. But there is so much more to be done! 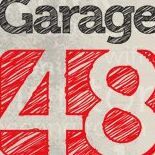 Garage48 Open & Big Data 2017 hackathon is bringing data science closer to teams by providing them with a wide list of open databases for both public and private purposes. we can solve problems or come up with completely new groundbreaking solutions. Whether you are working on a grande scheme on how to change the world to a better place, or have just some good old knowledge on how to put open data to use for business purposes- your contribution matters. WE ARE LOOKING FOR: data scrapers, data scientists, backend developers, frontend developers, UI/UX designers, visionaries, experts, marketing gurus and passionate project managers! Look into the future of digital health, fin-tech, smart cities and other topics through the lens of practical realities of the digital society.